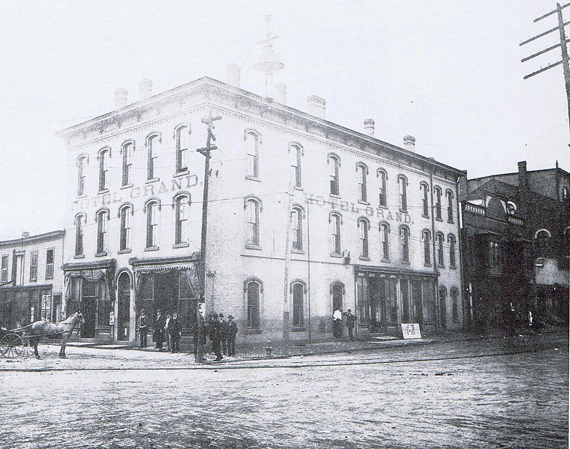 A pictorial reconstruction of portions of Sixth Street as it would have look late in the 1800s. All pictures are from the Magic Lantern Glass slides of East Liverpool, Ohio collection taken by Dr. Charles H. Birkett unless otherwise stated. 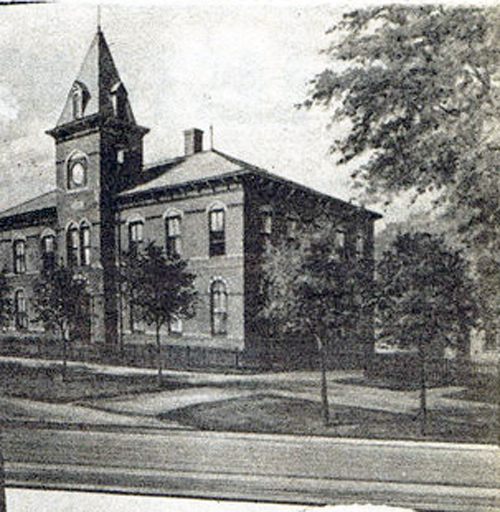 Sixth Street School as it appeared before the additional rooms were added at the back of the building in the early 1900s. It was located at the western end of Sixth Street. This picture is from a article that appeared in The Evening Review Weekender Jan 10, 1986, "Sixth Street School Remembered". Late 1890s. Only the streets and alleys of the central city were paved. Further away from the central business district streets weren't yet, such as this portion of Sixth Street. This is the corner of Sixth and Monroe Street looking towards the central business district. The home in the center of the picture was the home of Henry Goodwin, a potter owner. Picture from the book Hills & Kilns. page 225. Col. John N. Taylor house on Sixth Street where City Hall now stands. Was formely the home of Issac Knowles. Sixth Street west from Diamond. Street at right foreground is Market. Dresden Ave. can be seen. 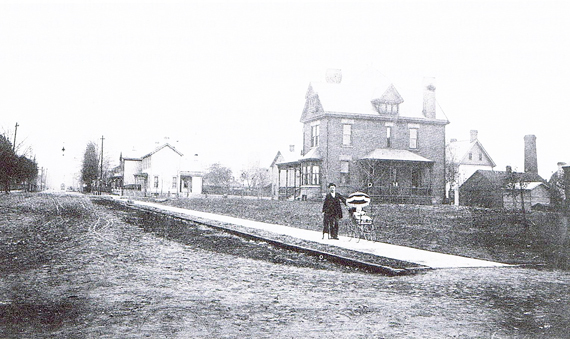 The little house on the right is where Little Bldg now stands. Diamond looking out Dresden Ave. Sixth Street Crossing from left to right. Diamond Looking North out Dresden. Present site of Little Bldg. East Market North up St. Clair. Site of Little Bldg. on left. 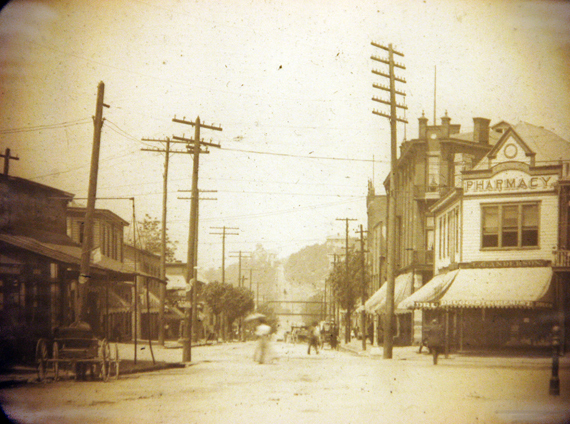 The center of East Liverpool's business district arouind 1896. Picture from The Crockery City Calendar 1984. Sixth Street east from Dr. Birkett's. North side of 6th Street looking towards Broadway. Approx 1880. The 6th Street Plaining Mill. 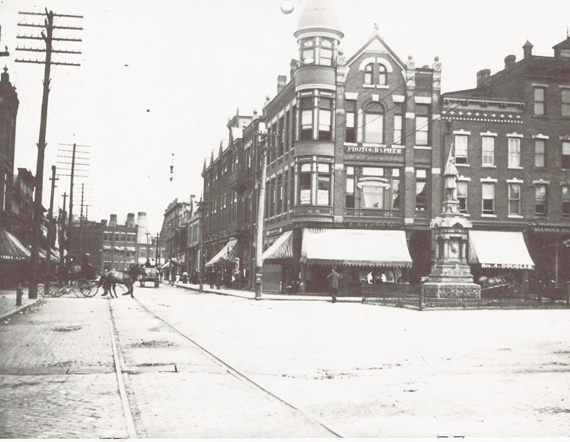 The brick building on right is where Isaley's Dairy Store (Bricker.s)is now. 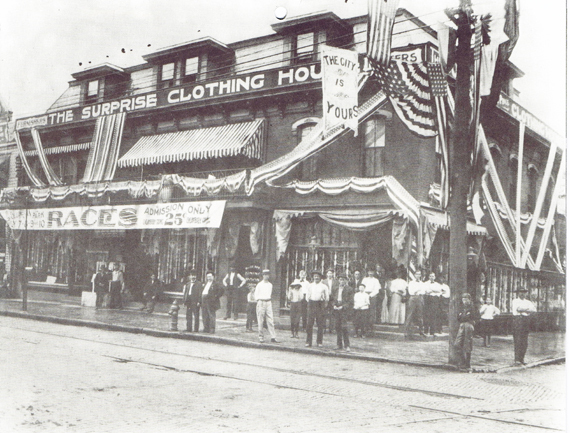 The frame building on left is on the site where the American Theater would eventually be built.